DETROIT – Detroit Children’s Fund (DCF) announced today the addition of three key staff members to aid in fund development for the organization. 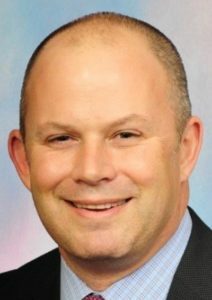 Nick Karmanos has been hired as chief advancement officer, responsible for DCF’s institutional advancement and fundraising. Prior to joining Detroit Children’s Fund, Karmanos served as senior vice president of institutional relations for Karmanos Cancer Institute, where he raised more than $150 million over 16 years. Lisa Laurin and Karry Dalton have also been added to the DCF development team, and will work under Karmanos’ leadership. Laurin joins Detroit Children’s Fund as corporate relations officer, developing relationships with corporate partners and supporting the execution of major gift solicitation strategies. Dalton will serve as events officer, responsible for planning and executing DCF’s fundraising events. “The experience and capabilities Nick, Lisa and Karry bring to DCF will be a tremendous support to our mission of dramatically changing the odds of success for Detroit children,” said KC Crain, chairman of the Detroit Children’s Fund. Detroit Children’s Fund (DCF) is committed to dramatically changing the odds for Detroit youth by ensuring they have exceptional learning and developmental opportunities, both inside and outside the classroom. Built in partnership with a team of civic and corporate leaders from across the city and globe, DCF deploys venture philanthropy principals to invest in high-potential education nonprofits that serve Detroit children. More at www.DetroitChildrensFund.org.